This is what Cher Horowitz would wear to her driving test in 2018, and therefore, I am extremely here for it. suit by Christian Siriano, jewelry by Tiffany & Co.
Am I ready for bellbottoms to be trendy on the red carpet again? No. Does the aqua metallic kind of make her look like each of her legs are a mermaid tail? A little bit. Do I somehow, against all odds, still kind of adore this suit because it’s playful as hell, and this is Busy’s most polished red carpet lewk in ages? Surprisingly, yes! 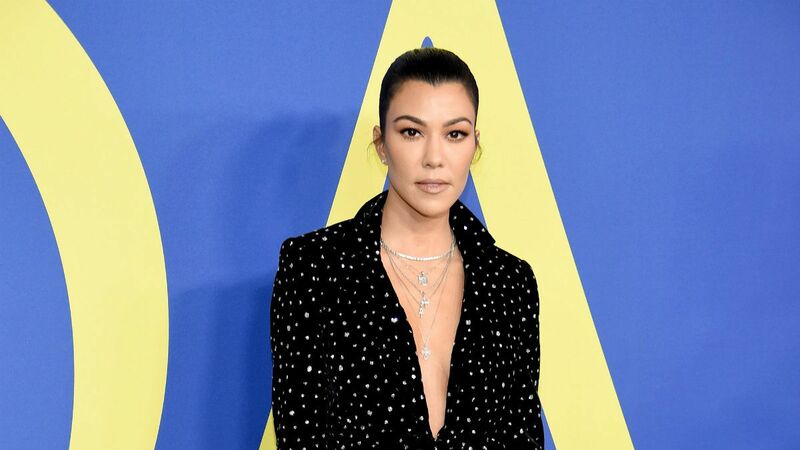 I try to blog about this family as little as possible, and even I have to admit that Kourtney kinda killed it at this event. The print and cut of this suit are low-key, yet high-impact. I don’t know if I’ve liked anything Kourtney’s worn since… well, ever, I guess. So kudos, girl. Keep it up. Stunning, but I wish she’d worn it to Cannes. She’s a haircut away from me truly loving this. I could have handled this dress on its own, but I truly loathe that collar. Though it should be noted that my least favorite Lupita look of all time still made it to the top five in this post. Because Lupita’s worst day is still better than almost everybody else’s best day. She could use a touch less highlighter on her cheekbones, and maybe a more interesting dress. I wish the belt were a little lower. Or maybe she should have lost the sheer layer over the pants, and just kept the half-cape thing. 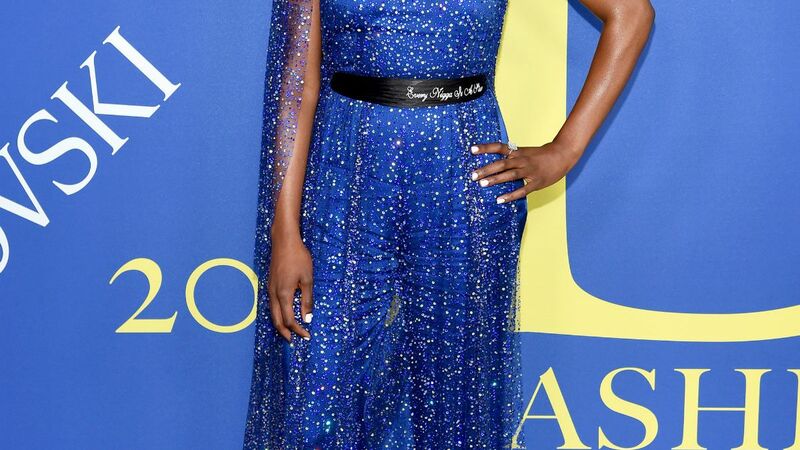 There’s good ideas here – the quote on her belt is badass, the color and shimmer are stunning, plus the aforementioned half-cape thing – but I’m not sure they really come together. I rarely say this, but this would actually be way better without all those diamonds. It’s hard for me to put Cate Blanchett anywhere far from the top of a post, but… what am I even looking at? A coat-apron hybrid? Over a skirt? With Tin Man sleeves? Even Cate can’t make this overdesigned dress work. I like the suit, and the accessories, but the combo doesn’t really back enough of a punch for me. I watch Handmaid’s Tale, so I can’t even look at Madeline without getting a sense of existential dread, and being vaguely surprised that she has two eyes. Great glasses and a classic tux, but that weird diamond skeleton on her chest makes me uncomfortable, and the sad slouchy purse is even worse. I get that everybody is trying to reinvent the jacket, but someone please explain to me what weather a person is supposed to wear this in. Also, I hate those pants. It’s more interesting than the simple silhouettes and stretchy fabrics she usually wears, but I can’t get excited about anything except that lipstick. Literally nothing about this is working for me. This is elegant and lovely and I’m pretty sure Juliana, and every actress who competes for roles with Juliana, has worn this no less than 80 times over the past decade. Hey, I get sweaty in the summer too, but you don’t see me wandering around a red carpet in a literal tent. Usually. This feels like the sad first draft of Cynthia Erivo’s dress. Very “RuPaul on the runway circa season 4,” which is only sometimes a compliment, and is definitely not one in this case. There’s drapery, and then there’s droopery. 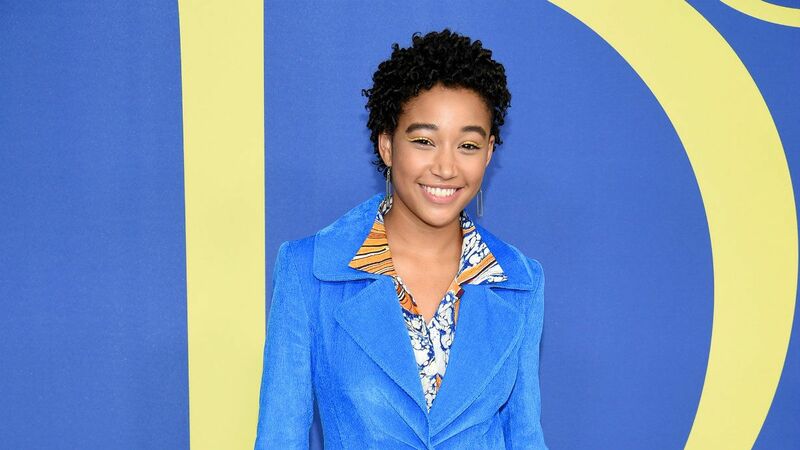 I’m sorry, Amandla, but I only had space in my heart to like one vaguely obnoxious bellbottomed suit in an unusual color at this event, and Busy Philipps took that spot. Also, is this… suede? In JUNE? Why do these people do this to themselves? Reminds me of the scene in Garden State where Zach Braff’s aunt or something makes him a shirt made out of leftover wallpaper. This is actually shocking to me. The patchwork quilted dress? The cross necklace that looks like it’s made of skittles? Anna, darling, it might be time for you to retire.